"Butterflies that flourish on grassland across Europe are in steep decline, indicating a catastrophic loss of flower-rich meadows in many European countries. Populations of 17 butterfly species widely found in Europe, including the adonis blue, Lulworth skipper and marsh fritillary which fly in Britain, have declined by more than 70% in the past 20 years according to a new study by Butterfly Conservation Europe. The dramatic decline in butterfly numbers indicates a wider loss of biodiversity, with other insects such as bumblebees, hoverflies, spiders and moths, as well as many plants and birds, disappearing along with the loss of traditional grassland." Hmm...a catastrophic loss of flower-rich meadows in Europe - we've had a decline of flowers around Wit's End, and it's not due to habitat destruction - they have just vanished. Well, what has that to do with the size of tigers shrinking? 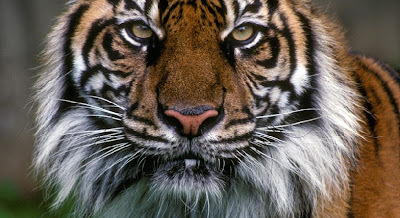 "India's endangered Bengal tiger is dwindling not only in numbers, but also in stature, according to a recent survey that suggests the famed big cats are getting physically smaller." "'Spotted deer have become their main source of food, but the deer numbers are going down because of rising sea levels which is causing more flooding in the forest,' said Pranabesh Sanyal, a tiger expert with the International Union for Conservation of Nature and Natural Resources." 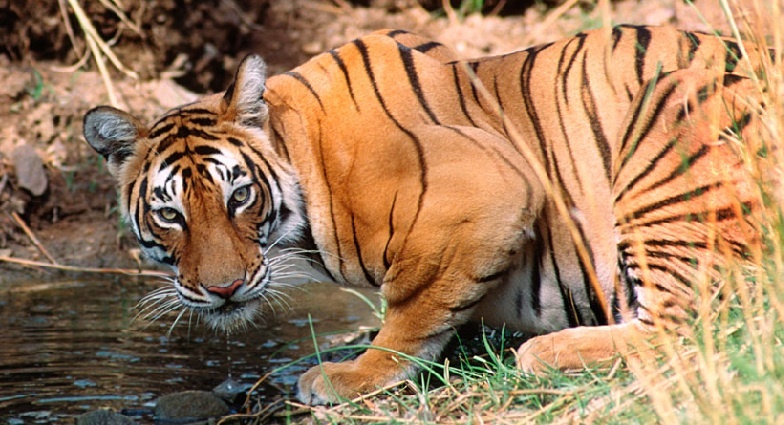 "'So the tigers are physically stressed and, being under-fed and malnourished, they are straying into human habitats in search of goats and cows,' Sanyal said." "WHEN settlers arrived in the New World in the 17th century, they found waters so thick with whales it was said you could walk across the bay of Cape Cod on their backs. Such stories have been dismissed as fantasy. 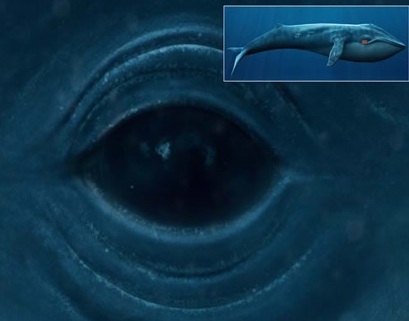 Nevertheless, it appears that the whale population was once vastly bigger than we thought, and that our slaughter of them was more thorough than history records." "This matters because commercial whaling may be allowed to resume once populations reach 54 per cent of their "historic" levels. This is generally assumed to be the population of the mid-19th century, before the explosive harpoon was invented. 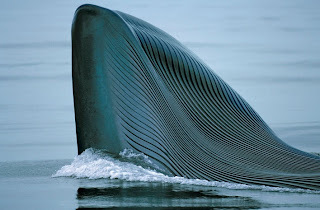 But if this historic benchmark is too low, the whaling moratorium must continue. Ironically, the vast slaughter of whales past may yet help to secure their future.... "
"THEY are enigmatic sea monsters - rare, magnificent beasts patrolling the ocean depths. Yet old chronicles tell of populations of whales hundreds of times greater than today. Such tales have long been dismissed as exaggerations, but could they be true? Have humans killed such a staggering number of whales?" Now let's turn to the war between the beekeepers, and the EPA! "Now the stakes are higher than ever. Tom Theobald's honey crop this year is the smallest he's seen in 35 years of beekeeping. 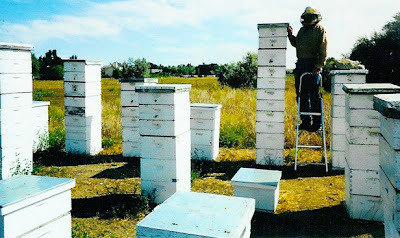 "This is the critical winter for the beekeeping industry. I don't think we can survive," he says. "If the beekeeping industry collapses, it jeopardizes a third of American agriculture.'" ...Bayer, the corporation behind clothianidin (the pesticide in question), published a life cycle study about it in 2006 at the EPA's request. The study was flawed--test and control fields were, for example, planted as close as 968 feet apart. But the EPA continued to allow the use of clothianidin, which has been on the market since 2003 for use on corn, canola, soy, sugar beets, sunflowers, and wheat (and which has been banned by Germany, France, Italy, and Slovenia for its toxic effects on bees, birds, and other species)." 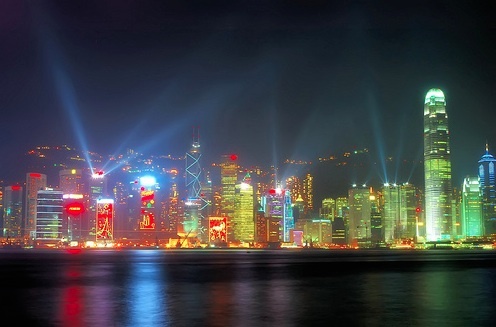 In yet another hellacious unintended consequence, a new study reveals that night lights increase air pollution. This is even more important because ozone apologists like to claim that the foliage of plants can recover in the night. "Nature uses a special form of nitrogen oxide, called the nitrate radical, to break down chemicals that would otherwise go on to form the smog and ozone that can make city air such an irritant on the chest. This cleansing normally occurs in the hours of darkness because the radical is destroyed by sunlight; it only shows up at night." "But new measurements taken from aircraft over Los Angeles indicate the energy from all the night-time light thrown out by this huge urban centre is also suppressing the radical. The lights may be 10,000 times dimmer than the Sun, but the effect is still significant. 'Our first results indicate that city lights can slow down the night-time cleansing by up to 7% and they can also increase the starting chemicals for ozone pollution the next day by up to 5%,' said Harald Stark from the US National Oceanic and Atmospheric Administration." "The double whammy of the mountain pine beetle infestation and the increased severity of wildfires have tipped the balance in B.C. forests, turning them from a carbon sink to net emitters of greenhouse gases, according to a new ministry of forests, mines and lands report. The province's forests began emitting more carbon than they stored in 2004, according to the report, a trend that is expected to continue until 2020. Forests, Mines and Lands Minister Pat Bell said the report covers ecological, economic and social factors and concludes that the provinces forests are being managed sustainably." "'It recognizes our impressive levels of protection and sustainably managed forests,' he said in a release. 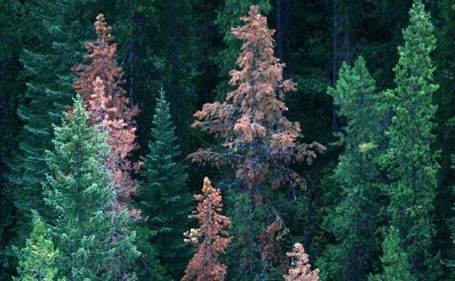 In an interview, he said the changing role of the forests is part of a larger cycle that will right itself as a young, vigorous forest replaces the one killed by beetles. 'Our estimate is that we will probably be 10 years in this state before we get to a place where we are net sequesters. But I don't think it is something people should be particularly worried about,' he said. 'It is part of the natural Eco-system, it is what one expects of this sort of environment that we are now in.'" 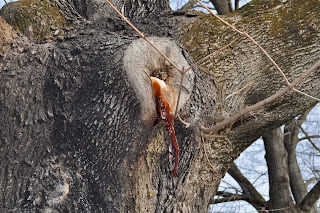 This is probably a good place to mention that last week, Highschooler contributed reams of new links for the "Basic Premise" list, many of which document the relationship between pollution, nutrient depletion, and subsequent lethal attacks by insects, fungi, and other pathogens. 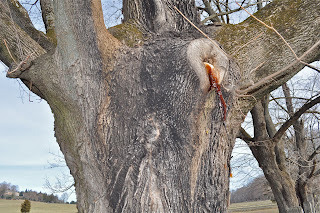 Anyone who comes across this blog and is concerned about forest decline and ecosystem collapse should scroll through the ever-expanding publications of scientific research and ask why there is so much information...and so little action. "Climate change is set to do far worse damage to global food production than even the gloomiest of previous forecasts, according to studies presented at the Royal Society in London, UK, on Tuesday. "We need to seriously re-examine our predictions of future global food production," said Steve Long, a crop scientist at the University of Illinois at Urbana-Champaign, US. Output is "likely to be far lower than previously estimated". Most researchers believe that higher temperatures and droughts caused by climate change will depress crop yields in many places in the coming decades. But a recent consensus has emerged that rising atmospheric concentrations of carbon dioxide could come to the rescue. The gas thought to be behind global warming could also speed up photosynthesis, counteracting the negative effects of warming and even ushering in an era of bumper crops. But Long told the two-day meeting on crops and future climate that this conclusion was a dangerous illusion. It was, he said, based on results from tests in gas chambers and small greenhouses known to be unreliable. Long reported instead on the findings of four studies in the US, China and Japan that all test crops in open fields. In these Free-Air Concentration Enrichment experiments, gases such as CO2 were piped into the air around plants - a world first. The FACE experiments showed that for all four of the world's main food crops - maize, rice, soybean and wheat - the real-world fertilization effect was only half as great as predicted by the contained experiments. Meanwhile, in some FACE experiments, Long added a new variable not factored into previous studies. He puffed doses of ozone into the fields to simulate the expected rise in ozone smogs due to higher temperatures - and yields crashed. A 20% increase in ozone levels cut yields by 20%, he said. Increases in ozone levels of this level are predicted for Europe, the US, China, India and much of the middle east by 2050. If Long's findings prove correct, even CO2 fertilisation will not prevent the world's crop yields from declining by 10% to 15%. The implications for some of the world's most populous countries could be profound. Xiong Wei of the Chinese Academy of Agricultural Science in Beijing presented data at the meeting suggesting that the country of 1.3 billion people could expect "more positive than negative impacts on China's food production". He said CO2 fertilisation would more than counteract crop losses from rising temperatures. But Long said his new findings suggest China's food production might fall rather than rise. Long's research is partly sponsored by the US government's department of agriculture, which has previously been confident in its predictions of farmers' ability to withstand climate change. The Royal Society conference also heard about dangerous temperature thresholds that could destroy crops overnight and give rise to famine. According to Andrew Challinor of the University of Reading, UK, climate change will mean tropical countries like India will face short periods of super-high temperatures - into the high 40s Celsius. These temperatures could completely destroy crops if they coincide with the flowering period." 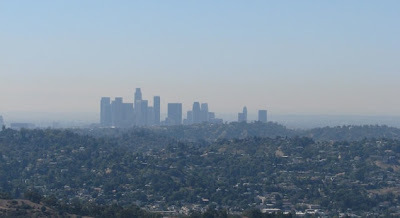 "A research team led by NASA's Jet Propulsion Laboratory and the California Institute of Technology (Caltech), both in Pasadena, Calif., has fully characterized a key chemical reaction that affects the formation of pollutants in smoggy air in the world's urban areas. 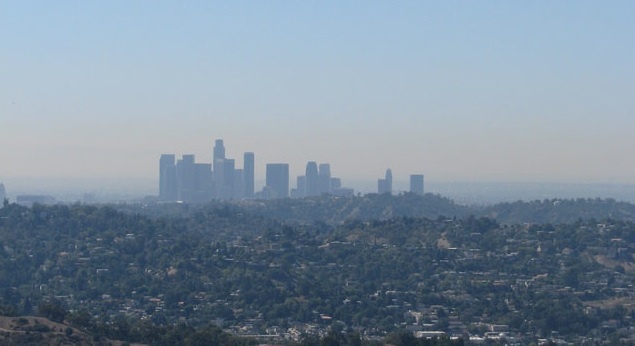 When applied to Los Angeles, the laboratory results suggest that, on the most polluted days and in the most polluted parts of L.A., current models are underestimating ozone levels by 5 to 10 percent." 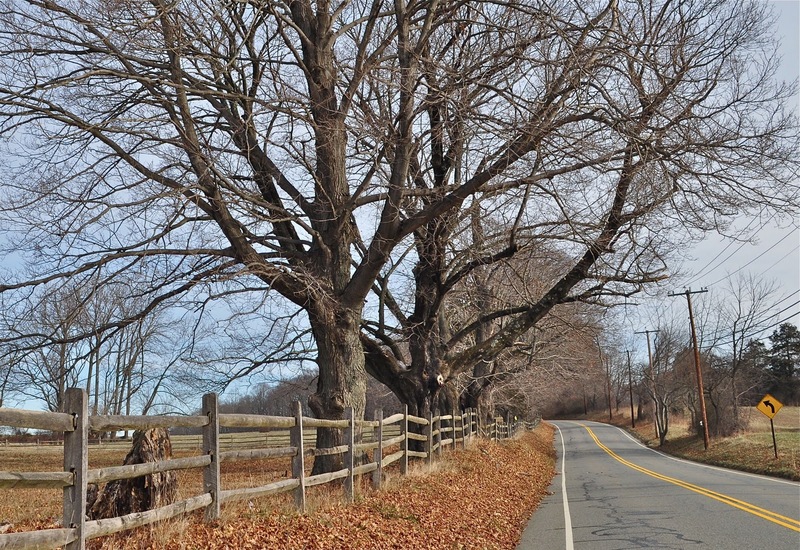 This row of century-old maples is at least a half mile long. They are all dying - some are already just stumps, as in the foreground of this picture. The key reaction in question in this research is between nitrogen dioxide and the hydroxyl radical. In the presence of sunlight, these two compounds, along with volatile organic compounds, play important roles in the chemical reactions that form ozone, which at ground-level is an air pollutant harmful to plants and animals, including humans. Until about the last decade, scientists thought these two compounds only combined to form nitric acid, a fairly stable molecule with a long atmospheric life that slows ozone formation. Chemists suspected a second reaction might also occur, creating peroxynitrous acid, a less stable compound that falls apart quickly once created, releasing the hydroxyl radical and nitrogen dioxide to resume ozone creation. But until now they weren't sure how quickly these reactions occur and how much nitric acid they create relative to peroxynitrous acid. The JPL team measured this rate using a high-accuracy, JPL-built, advanced chemical reactor. The Caltech team then determined the ratio of the rates of the two separate processes. Trees of all species are rotting inside, and losing fluid. Theoretical calculations by chemistry professor Anne McCoy at Ohio State University, Columbus, contributed to understanding of the not-well-studied peroxynitrous acid molecule. "This work was the synthesis of two very different and difficult experiments," added lead author and former Caltech graduate student Andrew Mollner with Aerospace Corporation, El Segundo, Calif. "While neither experiment in isolation provided definitive results, by combining the two data sets, the parameters needed for air quality models could be precisely determined." The loss of sap leaves streaks on the trunk and stains on the fence. In the end, the researchers found the loss of hydroxyl radical and nitrogen dioxide is slower than previously thought-although the reactions are fast, fewer of the radicals are ending up as nitric acid than had been supposed, and more of them are ending up as peroxynitrous acid. "This means less of the hydroxyl radical and nitrogen dioxide go away, leading to proportionately more ozone, mostly in polluted areas," Okumura said. When it turns very cold, in the 20's, the oozing sap freezes into macabre formations. Just how much more? To try to get a handle on how their results might affect predictions of ozone levels, they turned to Robert Harley, professor of environmental engineering at the University of California, Berkeley, and William Carter, a research chemist at the University of California, Riverside-both experts in atmospheric modeling-to look at the ratio's impact on predictions of ozone concentrations in various parts of Los Angeles in the summer of 2010. The result: "In the most polluted areas of L.A.," said Okumura, "they calculated up to 10 percent more ozone production when they used the new rate for nitric acid formation." Okumura said this strong effect would only occur during the most polluted times of the year, not all year long. Still, he said, considering the significant health hazards ozone can have-recent research has reported that a 10 part-per-billion increase in ozone concentration may lead to a four percent increase in deaths from respiratory causes-any increase in expected ozone levels will be important to people who regulate emissions and evaluate health risks. The precision of these results reduces the uncertainty in the models-an important step in the ongoing effort to improve the accuracy of models used by policymakers. Okumura believes this work will cause other scientists to reevaluate recommendations made to modelers on the best parameters to use. For the team, however, the next step is to start looking at a wider range of atmospheric conditions where this reaction may also be important. Sander agrees. "The present work focused on atmospheric conditions related to urban smog-i.e., relatively warm temperatures and high atmospheric pressure," he said. "But the hydroxyl radical/nitrogen dioxide reaction is important at many other altitudes. Future work by the two groups will focus on the parts of the atmosphere affected by long-range transport of pollution by high-altitude winds [in Earth's middle and upper troposphere] and where ozone depletion from human-produced substances is important [the stratosphere]." Since my attempt to embed the movie Gasland failed, here instead is a link to a graphic description of the gas drilling process, provided by a reader in comments (thank you, Opit!). "The catalyst burnout problem highlights the potentially wide spectrum of negative effects of ethanol fuels on cars that have not been specifically designed to run on ethanol blends (which effectively includes vehicles from model year 2003 and older) (DOE 2009a; U.S. EPA 2007c). As summarized in the 2007 DOE review Technical Issues Associated with the Use of Intermediate Ethanol Blends, multiple studies found materials compatibility issues with E20, evidence of fuel filter obstruction even with E10, and likely impacts on driveability (Bechtold 2007). The Australian study reported that "greater levels of wear were observed for engines run with E20 than for those run with gasoline… [which] can result in compromise of the combustion system and lead to poor engine operation with resultant higher pre-catalyst emissions and increased fuel consumption" (Australian Government 2004). Both acetaldehyde and formaldehyde are considered by EPA to be probable human carcinogens (U.S. EPA 2007). Formaldehyde is associated with respiratory tract irritation, chronic bronchitis, and airway inflammation (U.S. EPA 2007). Acetaldehyde is a strong respiratory irritant and toxicant especially dangerous for children and adults with asthma. As demonstrated by a recent study, acetaldehyde air pollution is already above the 10–6cancer risk level at most sites nationally (McCarthy 2009). Further increase in acetaldehyde could lead to increased cancer incidence and wider prevalence of respiratory problems. "Kilaparti Ramakrishna, Senior Advisor on Environmental Law and Conventions at UNEP who will give the opening address at the side event said, 'The nitrogen cycle is changing faster than that of any other element. In addition, the effects of reactive nitrogen are not limited to a single medium. A single molecule of reactive nitrogen may transition through many forms - ammonia, nitrogen oxide, nitric acid, nitrate and organic nitrogen - and may successively lead to a number of environmental, health and social impacts, including contributing to higher levels of ozone in the lower atmosphere. Over the last decade a number of global, regional and national initiatives have identified and addressed the issue of nutrient enrichment to the coastal zone. However, programmes are dispersed and fragmented and there is no single place to go for an overview of available information tools and mechanisms.'" Has anyone made that assessment or is anyone in the process? I don't know - but will try to find out! 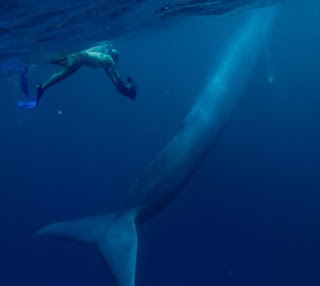 You could walk over the ocean b/c of the whales...and now we are so fortunate to see ONE swimming by if we are lucky...in my area at my local park all the beloved pine trees that had been there forever were cut down, due to the beetle/tree disease the park guy told me. Up along the roadway some pine trees have been marked with big X's. I wonder what they feel? If they know the end is near? On another street, all the Eucalyptus have been taken. 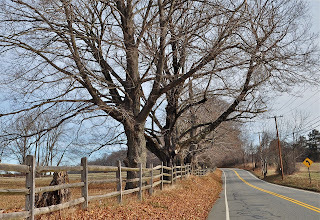 Turning on to the street was a joy, in the morning the scent of the Eucalyptus was joyful. Now gone. One day the Earth will get tired of being raped and plundered. This is a paniful subject. Many dumb people reject it b/c they are too stupid & brainwashed by the cult of corporations. not the first time I have come across evidence that beetle infestations are the result of pollution, but even more compelling. 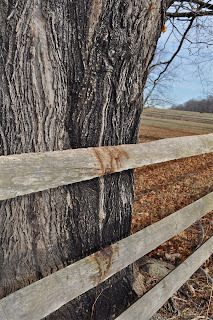 Trees used to be beautiful. Now they are twisted and deformed. It's incredible to me how few people even notice. Thanks for being one of the few who do and leaving your comment. People don't notice anything! Except looking for where to park! Its sickening! I guess if you live in a area with a large amount of trees one or two missing you might not notice but I live in a small city where you can practically count the trees so we know which ones are missing!Sometimes when hiking in a park where they are all at hanging out, silent & beautiful, I wonder what sights they've seen, the storms they have lived through, how the pollution must affect them, and yet they stay tall & silent for the most. It really hurts in my heart to see what is happening to them, the bees, the animals and there are people who care but many are for the most indifferent or in denial about the state of the Earth. write. The world hopes for even more passionate writers such as you who aren't afraid to say how they believe. All the time go after your heart.